Making the Wedding Cake | Congrats EG & MX! A bit over a week ago, my brother and my sister in law held their wedding reception at Kirin *throws confetti*. Even though they were officially wed already and so this lil Chinese wedding banquet was relatively casual, it was still nice to see everyone all dressed up and looking sharp, celebrating the start of something beautiful. 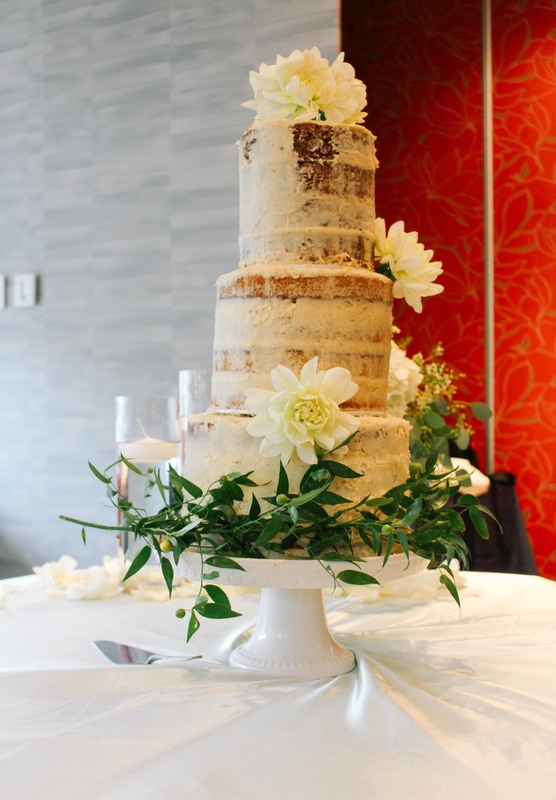 It went unsaid that I would be making their wedding cake– I’d be offended if they bought it– but at the same time, inside I was terrified that I wouldn’t be able to put out a respectable cake. I started looking at ideas on Pinterest ages ago, but it wasn’t until literally a week before the reception when I actually sat down and started looking at recipes, calculating the quantities, watching videos on how to dowel cakes and generally freaking the * out. 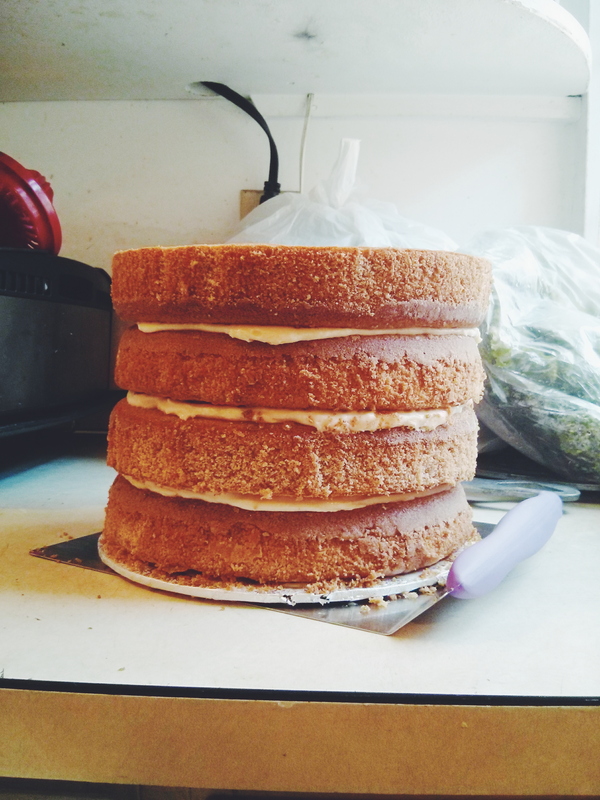 Especially when you see less-than-perfect (read: lopsided and hard to look at) homemade wedding cakes out there. Ouch. I wasn’t all too confident in my cake skills. 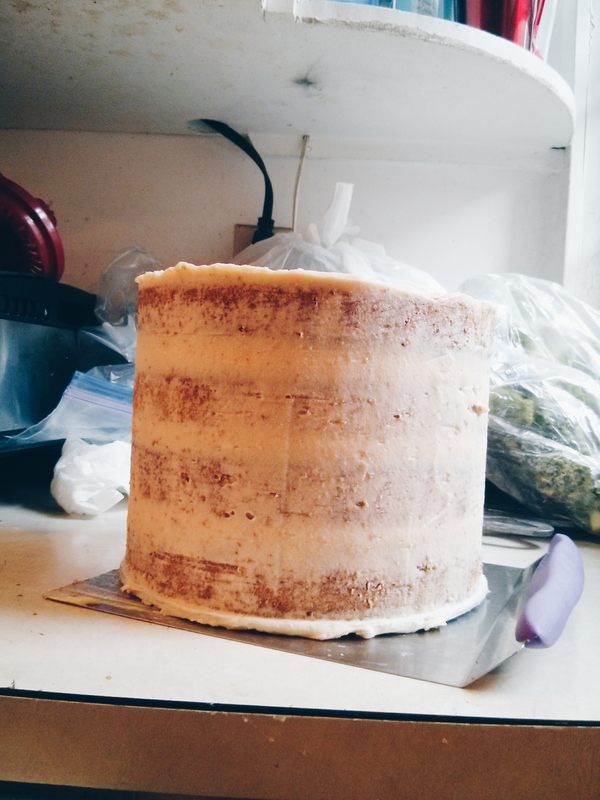 Up until this point, I hadn’t ever made a tall, even layered frosted cake. There was hardly the occasion to. 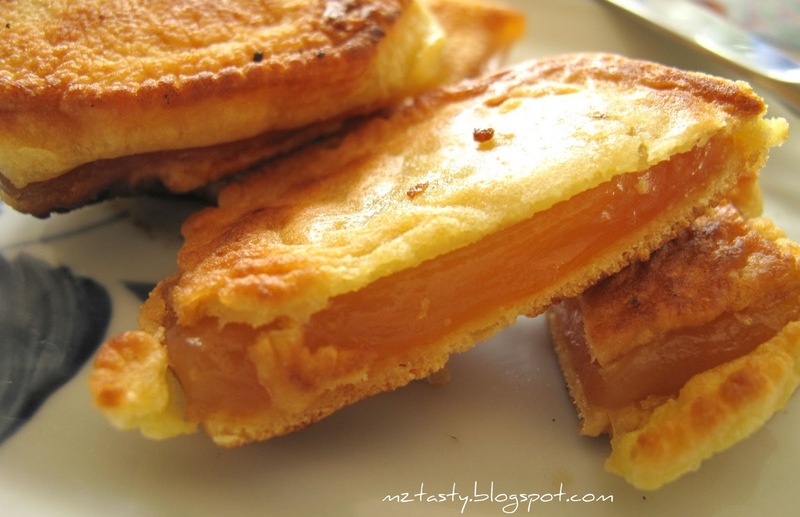 But I found Sweetapolita’s blog invaluable, as Rosie is truly the cake master. 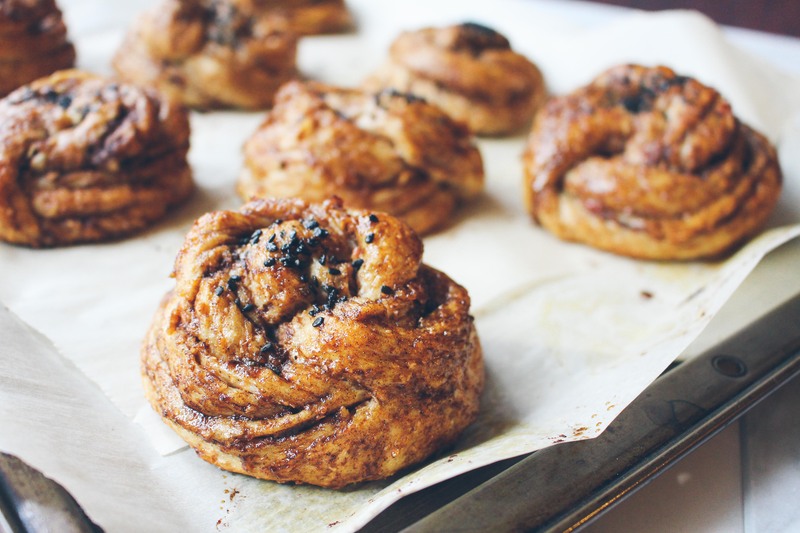 Kanelbullar has always been something I’ve admired from afar, primarily for its beautiful twist. 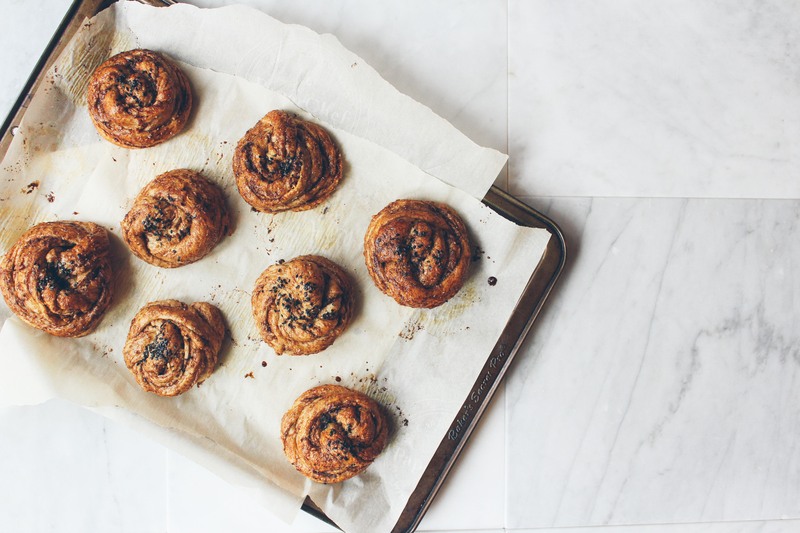 Aren’t they like the more understated, simple-but-elegant version of its American cinnamon roll cousin? In this recipe, the primary spice is cardamom instead of cinnamon, and it perfumes the dough subtly. It’s glazed twice, once before and once after baking, with a sticky runny spiced-glaze. Be warned though, these are definitely not like cinnamon rolls in its ooey-gooey sweet goodness. I’d like to imagine these are a lot more breakfast friendly; they’re made with whole wheat flour and a modest amount of butter, they lack frosting, and are less sweet, and so overall it’s no longer a dessert masquerading as breakfast. I like that its primary focus is the spices– there’s no cream cheese frosting or icing that masks the true taste of cardamom or cinnamon, and you just get a very earthy, fragrant experience. Paired with a cuppa chai, and it’s like a warm hug from the inside. The weather’s chillier, PSL is already making its appearance, but I will still forever be in denial! #suMm3r2015 4ev3Rszzz. Summer has been and will always be my favourite season for several reasons– being outdoors, the hot weather, daytime extends into nighttime, the fresh produce, the abundance of farmers markets, and everyone seems generally happier and more smiley when the sun’s out. 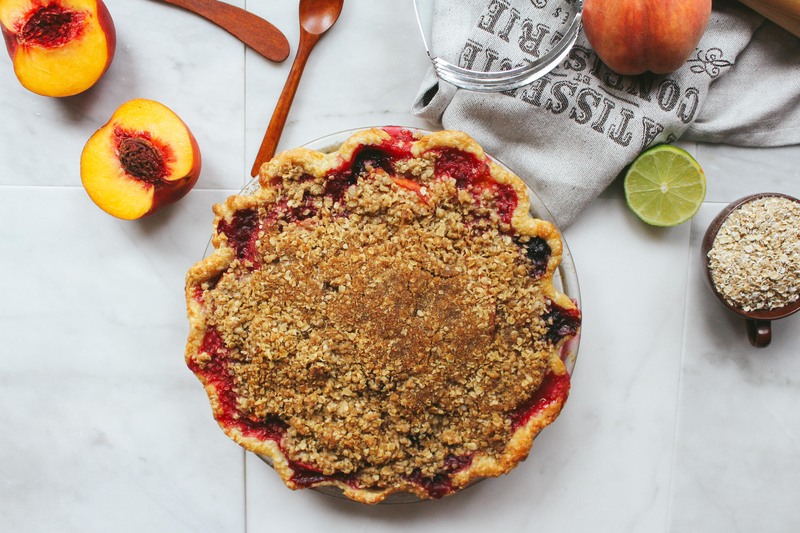 Let’s be in denial together with this peach blackberry crumble pie. Inspired by my trusty Four & Twenty Blackbirds pie book and urged on by my quickly ripening flat of sunshiny peaches, the pie is more than an apt farewell to the fading summer season. I’ve been on a mochi kick recently, if you couldn’t already tell. 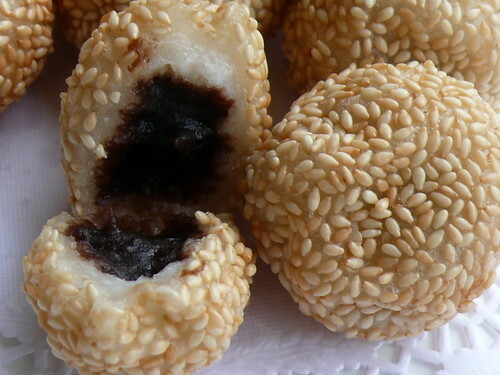 I’m sort of obsessing over how easy it is to get that chewy, glutinous texture I was so familiar with as a kid. 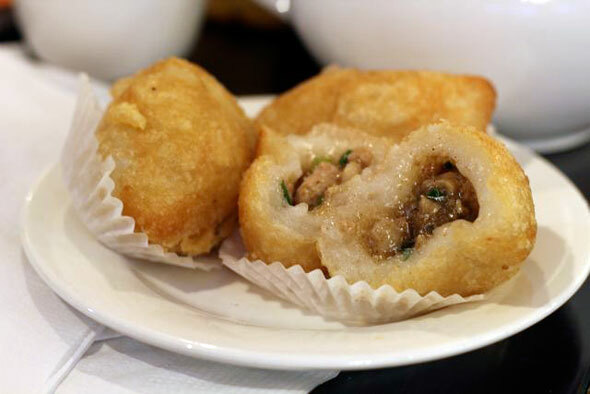 Glutinous rice flour is used to make many asian desserts and dim sum dishes, such as lo mai chi, jin dui, and ham sui jok…. and Chinese Sticky New Years Rice cakes, etc. etc. etc. 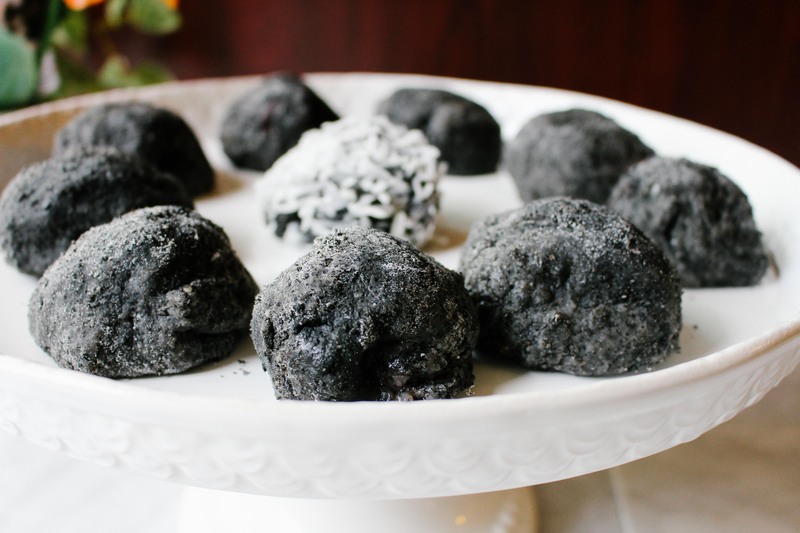 I see mochi as the chocolate truffle of the asian world– messy to make, but super tempting to pop in your mouth. These guys were made just to use up the red bean paste I had leftover from this recipe, and the black sesame flour from making a black sesame banana bread. This is the first time I’m making real mochi, and the process was… a.) very simple b.) very easy c.) so simple and so easy that I decided one should always make it at home instead of buying it from the bakery. There is no experience like making it fresh, then popping it in your mouth. It’s a lot softer, and you can get your filling-to-mochi ratio exactly how you want it. Win win win.